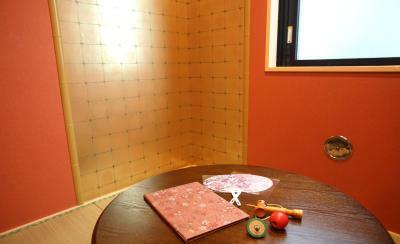 Lock in a great price for RYOKAN&HOSTEL WASABI Nippori – rated 8.3 by recent guests! The staff was very nice. The facilities and a public hot bath were so cool! 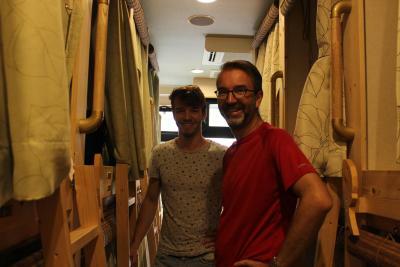 Beds in the dormitory are huge and separated by curtains so you have a space for yourself. There is also a nice bath/sauna. The staff are friendly. It's near the train station. 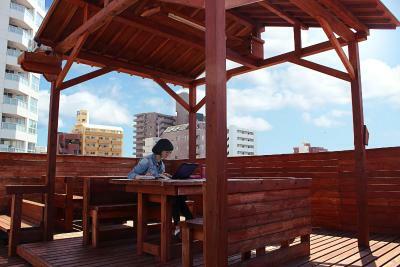 There's a nice area on the roof and a Japanese bath to use. There's a tea machine and microwave, but no kitchen. 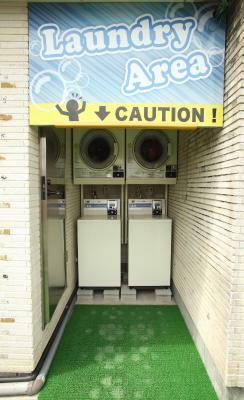 The laundry facilities are inexpensive. It's a short walk from some stores if you want to buy snacks etc. 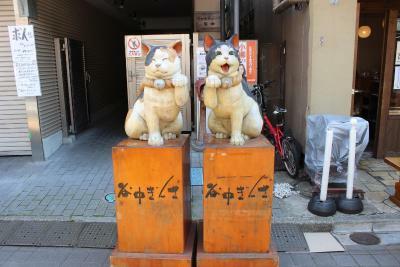 Very near Miwakashimastation and have luggage storage service. There's a powder room that feels like a secret magical room. 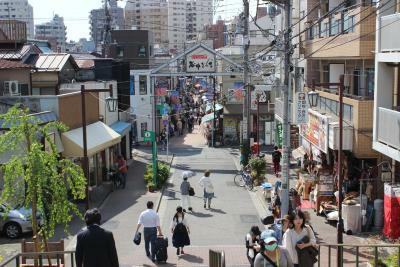 Very near train station, with convenience store and bento shops nearby. Comfy, fluffy bed :) Rental pajama. Friendly and welcoming staff. 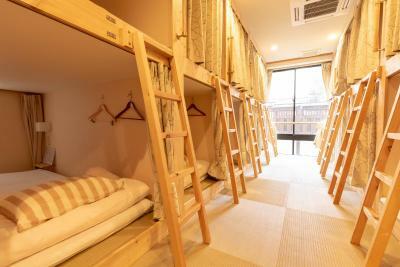 Place to stay at when you visit Tokyo. It is a capsule hotel - which was not exactly understandable from the name of the venue - but it is OK, if you go to the details. Too bad that I can not use the kitchen. I preferred to prepare my own food. 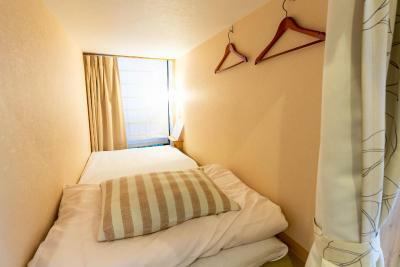 RYOKAN&HOSTEL WASABI Nippori This rating is a reflection of how the property compares to the industry standard when it comes to price, facilities and services available. It's based on a self-evaluation by the property. Use this rating to help choose your stay! 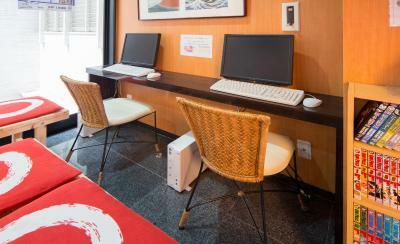 Conveniently located just a 1-minute walk from JR Mikawashima Train Station, RYOKAN&HOSTEL WASABI Nippori offers cozy accommodations with free WiFi access and air conditioning. Complimentary coffee and tea are provided in the shared lounge. 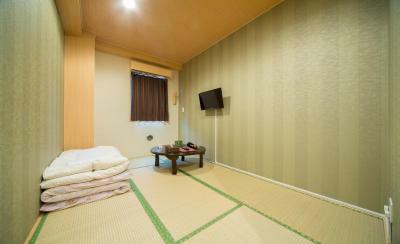 Guests can choose to stay in private rooms or in dormitory rooms. Private rooms come with a flat-screen TV and a private bathroom with a shower and bathtub, while shared bathroom facilities are available for guests staying in dormitory rooms. 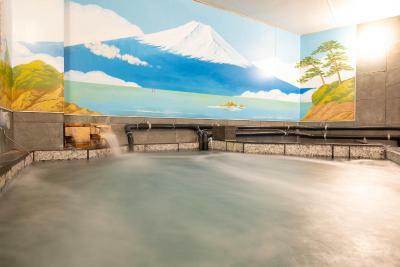 Other facilities offered at the property include a tattoo/swimwear-allowed public bath with Mt. 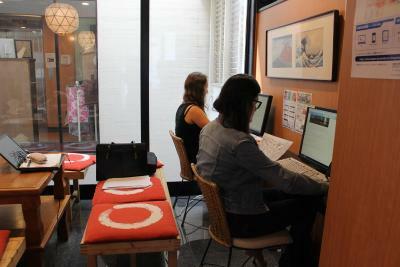 Fuji painted on the walls, lockers and free-use internet PCs. A coin launderette and luggage storage are also available on site. The bright red Kaminarimon Gate and Sensoji Temple are a 20-minute walk and train ride away, while Ueno Zoo can be accessed within a 17-minute walk and train ride from the guest house. 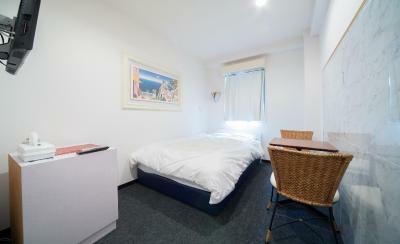 From Narita International Airport, the property can be accessed within a 1 hour train ride. Breakfast is available with an additional charge. 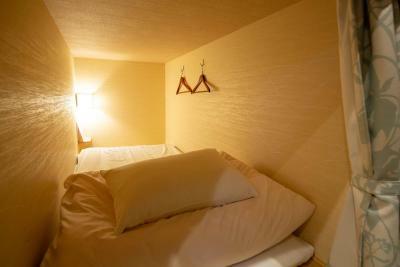 When would you like to stay at RYOKAN&HOSTEL WASABI Nippori? Price includes 1 bed in a room with multiple beds. 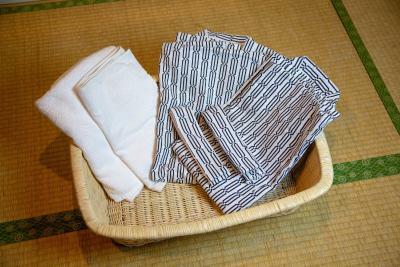 Features tatami (woven-straw) flooring and futon bedding. 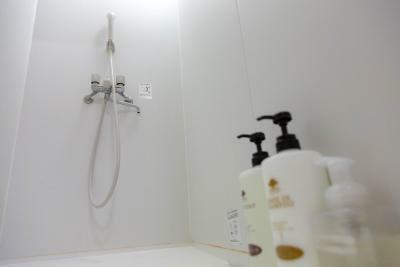 Bathroom facilities are shared with other guests. 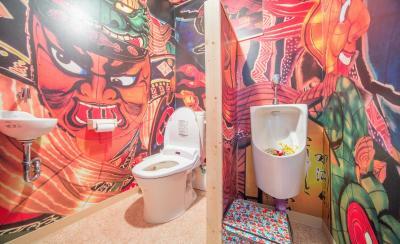 Private rooms come with a flat-screen TV and a private bathroom with a shower and bathtub. 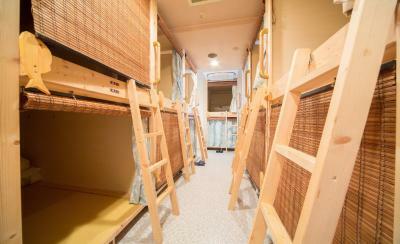 This bed in dormitory features a washing machine, air conditioning and dining area. 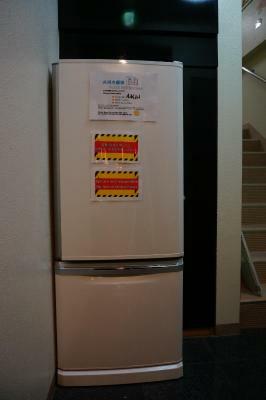 This bed in dormitory has a dining area, air conditioning and washing machine. Area Info – This neighborhood is a great choice for travelers interested in temples, shopping and city walks – Check location Great location - show map Guests loved walking around the neighborhood! House Rules RYOKAN&HOSTEL WASABI Nippori takes special requests – add in the next step! RYOKAN&amp;HOSTEL WASABI Nippori accepts these cards and reserves the right to temporarily hold an amount prior to arrival. RYOKAN&HOSTEL WASABI Nippori accepts these cards and reserves the right to temporarily hold an amount prior to arrival. 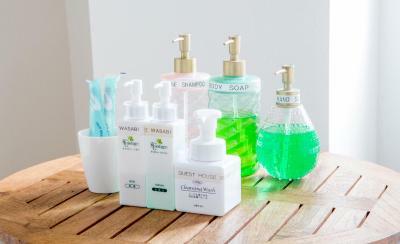 Guests arriving after check-in hours (22:00) must inform the property in advance. Contact details can be found on the booking confirmation. Check-in after 24:00 cannot be accepted. Please note the front desk is closed during the following hours: 10:00 to 15:00.
Credit card will be used for guarantee purposes and/or when a cancellation fee is charged. When settling the bill, the property will accept cash only (in Japanese Yen). The signal of wifi was great but the quality was not stable. Bathroom too small for me, i didnt really fit. 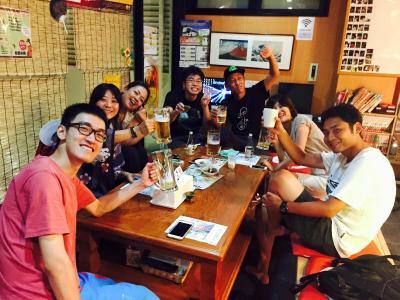 Perfect cheap hostel for solo travelers visiting tokya highly recomend it. The room got a little hot in the night. Also please make a rule about guests phone being on vibrate, especially at night. You have to take off your shoes but they do not provide you with flip-flops or sleepers and you have to buy them additionally or bring your own. That's kind of a disappointing first impression. Two points have to be mentioned despite the overall good impression. I booked a private room (western style) which goes as a double and though I used it as single room the whole amount for 2 persons was charged. This private double room was in fact nearly too small for even one person. I know that everything is small in Japan but I stayed in many other hotels in Japan and this room type normally would go for a single room even in Japan. Bed size is 200x110cm! The other point is that one of the dorms is located in the basement. That's a bit like sleeping in a cellar. It is an excellent choice for Tokyo. 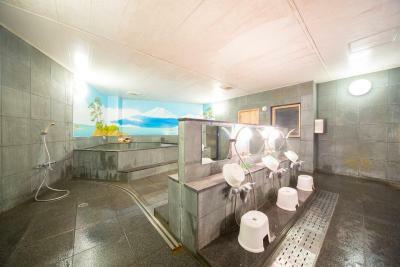 Extremely friendly and helpful staff, a nice public bath to relax which can be used the whole night through and a nice rooftop for sitting in the sun. Room and dorm rates are okay. Bicycles for rent are available and the location is easy to reach. Very well connected to public transport. 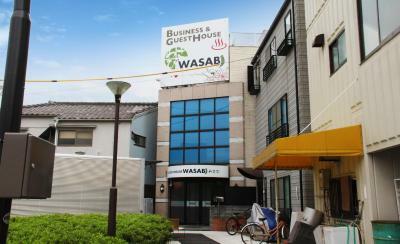 Regarding these points I really would recommend Wasabi Guest House. 1. right below the train station 2. onsen!!! 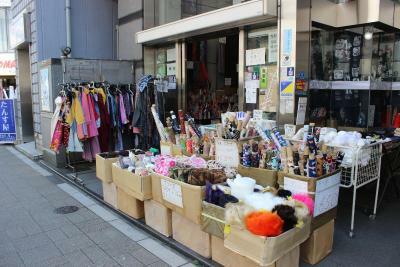 It's next to Mikawasima station. So it's quite noisy when train is coming. Station seems not that busy but still, train sound could be problem for sensitive people. You could get single room with good price. Staff is kind and good at english. Room is clean and have enough space to stay one people. If I remember right, room I stay hold max two people but I think two is little bit hard to stay. Room have heat/cold system you could adjust by yourself. TV and refrigerator in room. 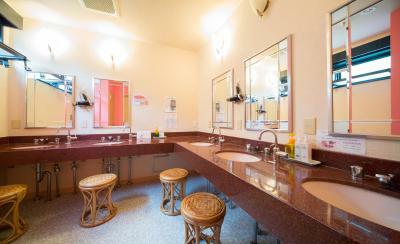 Bath room is small but there is public bath so you could use it. There is laundary and dryer at roof. So you could wash you clothes at there. For long time travler, it's good. Room have kind of guide book which show what you need to learn about hostel. Most of them were written in English so no problem to read it. Hotel's front door is not 24hr open. But they give you a code to open back door when you enter hostel in late night so don't worry about that. 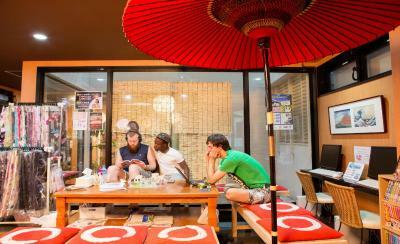 Sometimes hostel held some events based on Japanese culture. When I was there, there was small event based on 'Japanese style Valentine day'. (little join fee needed) If you have time, join those event could be good choice. 24hr store is near at hostel. found hair in the bathtub but other place is fine. Teeny weeny rooms. Can’t drink water from the taps. Very close to station. Very clean. Great spa area. The capsules in the mixed dormitory were poorly isolated. Very friendly staff! Very clean accomodation and bathroom.